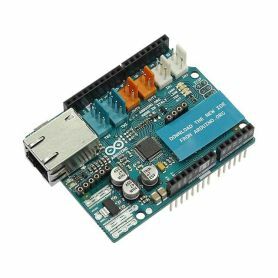 Arduino is an Open-Source electronic prototyping plateforme with a large community, a lot of documentation and many many samples. 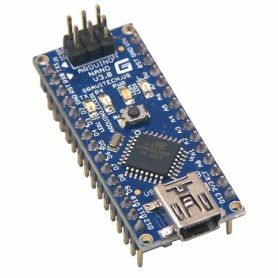 The Arduino plateform is a simple board with input / output pins that can be used to create autonomous projects -or- projects connected to a computer and interacting with the world. 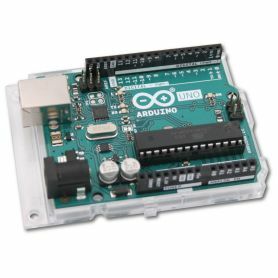 Arduino IDE is a graphical development environment running on Windows, Mac and Linux. Arduino is addapted for any skill level. 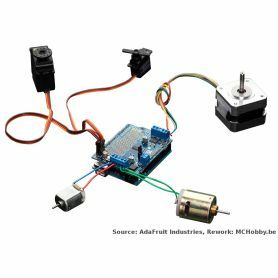 Arduino is a great plateform to experiment and discover microcontroler programming or quickly create small projects. Arduino There are 63 products. 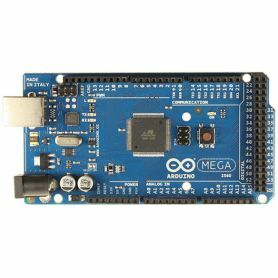 This section contains Arduino boards from UNO to more advanced ones like MEGA. 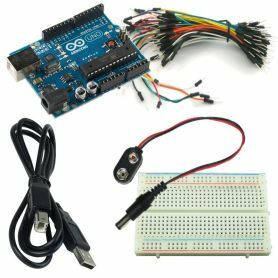 If you want to discover Arduino, one good option is to use an Arduino starter kit. Somes kit are really suited for newbies having no knowledge about electronic. Try it... you will love it! 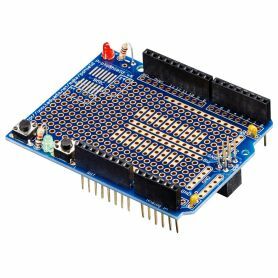 The "shield" are expansion board for Arduino. The shield are stacked on the top of the Arduino. 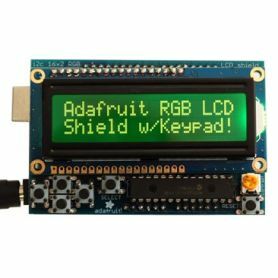 The shield are used to fullfil various features like contrôling motor, log data, displays, gaming kit, ethernet shield, music shield, etc. 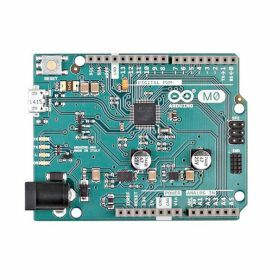 Accessories for Arduino will help you to polish your project and give it a perfect finish. 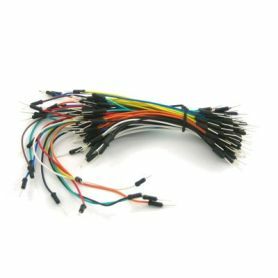 In this category, you will find cases, breadboards, power supply and all those small items that can make the difference. XBee/ZigBee are Digi's products offering facilities for wireless communication. XBee are almost ready to use. XBee does support many protocols like 802.15.4 (the most known) or ad-hoc protocols (also know as "mesh" network). XBee does exists in "pro" version (serie 2) and high level version (ZigBee). 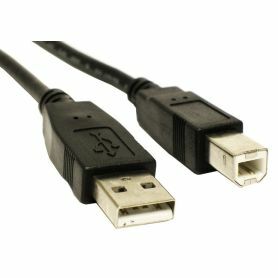 XBee did became very popular because it allows to create Wireless Serial Connection with only 2 wires! 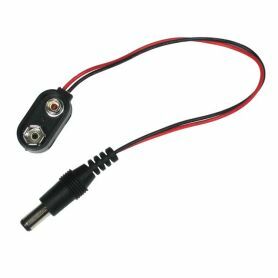 XBee would help you to create efficient remote control (or remote sensor connexion). 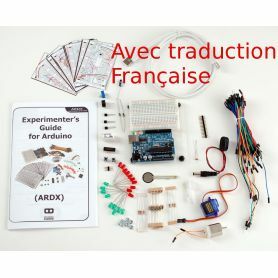 This product is being translated Le nouveau Starter Kit Arduino Français. 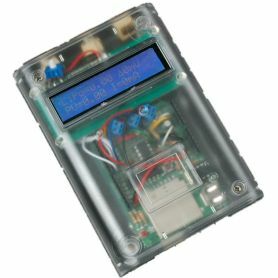 This product is being translated Shield de prototypage pour Arduino. 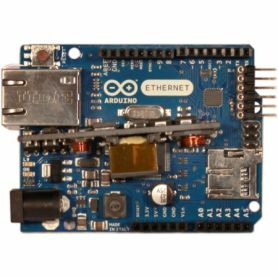 This product is being translated Ethernet Shield 2 pour Arduino permet à votre Arduino de se connecter sur Internet. 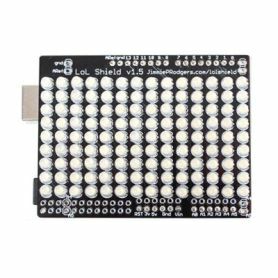 This product is being translatedMatrice de 9 x 14 LEDs blanches controlées en Charlieplexing. 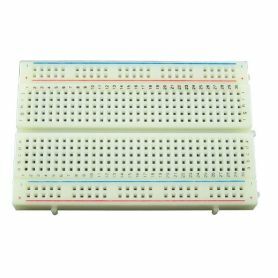 Half-size Breadboard of 400 points. Identical to the one proposed in the ARDX kit. 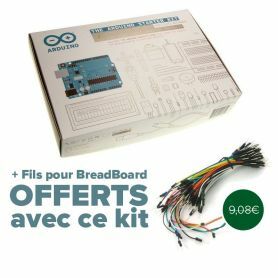 This product is being translated Version Nano V3.0 d'Arduino conçu pour breadboard et applications à forte intégration. 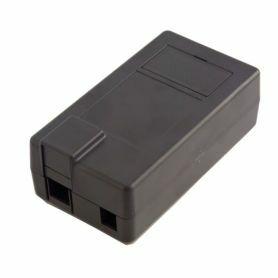 This product is being translated Carte Arduino Uno incluant une connexion Ethernet, un lecteur Micro SD et un module POE. Un concentré de technologie.